Garfield Mountain is a 4,500 foot mountain in Franconia, New Hampshire (Grafton County) in the White Mountains. 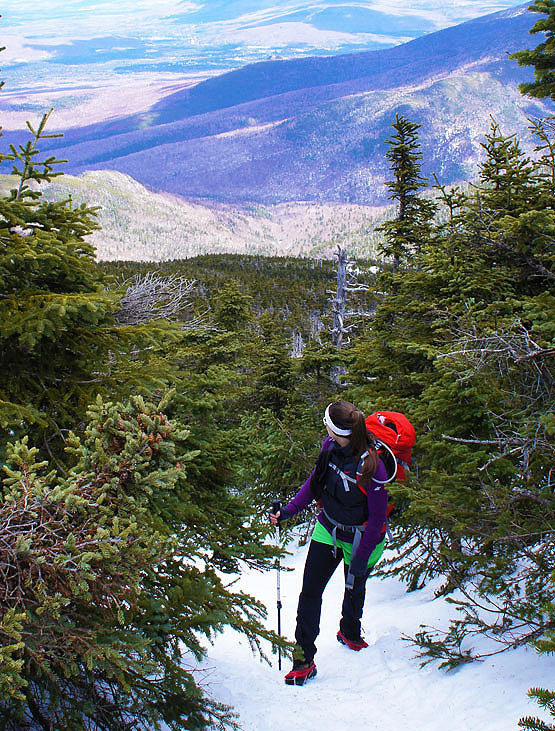 It lies in the Franconia Range along with Mount Lafayette, Mount Lincoln, Mount Flume and Mount Liberty. It is also along the edge of the Pemigewasset Wilderness. 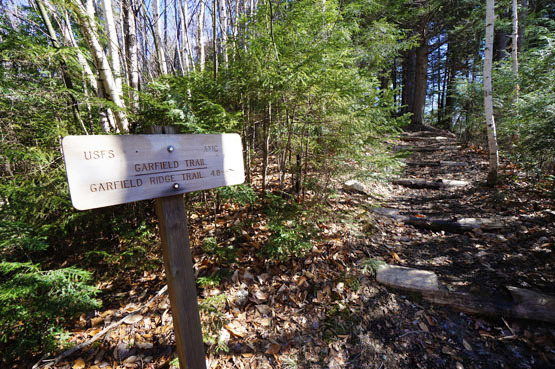 There is a direct trail up to the summit of Garfield Mountain called the Garfield Trail. It takes 5 miles to hike to the summit. 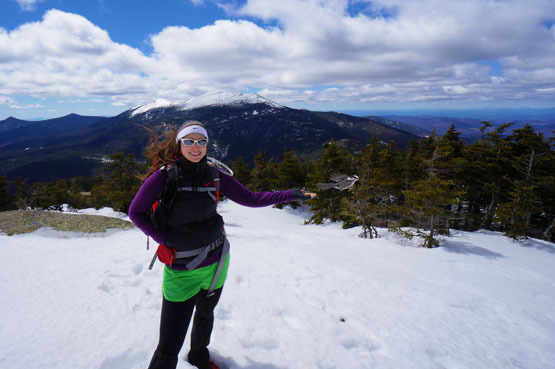 Summit of Mount Garfield April 17, 2013. 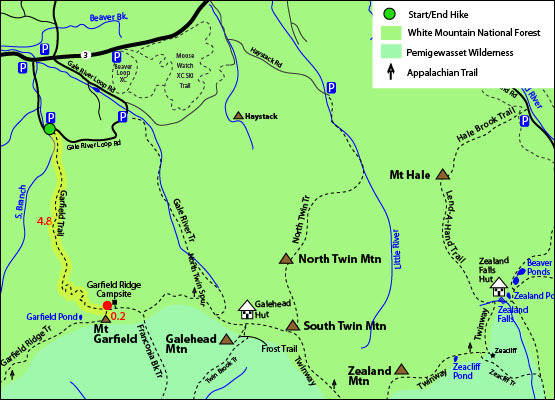 The map below shows how to get to the summit of Garfield Mountain. Begin at the Garfield Trail head off Gale River Loop Road. Hike up the Garfield Trail for 5 miles. You will cross over the Garfield Ridge Trail / Appalachian Trail 4.8 miles up. The Garfield Pond is roughly half a mile past the Garfield Summit. Hiking along the Garfield Ridge Trail on April 17, 2013. The parking lot for this hike is located on Gale River Loop Road off Route 3 in Bethlehem, New Hampshire. *Gale River Loop Road is closed in the Winter, so your hike will add 2.4 miles up and down that road from Route 3, making the entire hike 12.4 miles.